Visitors to the Texas A&M University Galveston campus are always welcome. Auxiliary Services has provided parking accommodations for visitors in locations shown on the paid visitor parking map (see link below). The fees for parking in these areas is posted at the entrance to each parking Lot. If parking is not available in one of these areas or if special arrangements are needed, please contact the Auxiliary Services office at 409-740-4926. University affiliates who park on campus are required to purchase a permit, therefore, we ask visitors to refrain from parking in areas designated for faculty, staff and residents, unless prior arrangements are made through the Auxiliary Services office. Violators are subject to ticketing. Faculty, staff and students are responsible for any citations that are issued to visiting family members. University departments may make advance parking arrangements for their guests by contacting the Auxiliary Services office at 409-740-4926. Please contact the Auxiliary Services office in ample time to make the arrangements and send the permits to your guests. 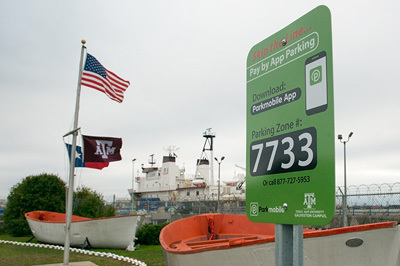 Vehicles with any valid TAMU parking permit are allowed to park in designated Commuter Parking spaces on the Galveston Campus. See the Galveston parking map below. Exceptions include large citywide events that are held on a weekday. Authorization from the Auxiliaries Services office will be required during these events. 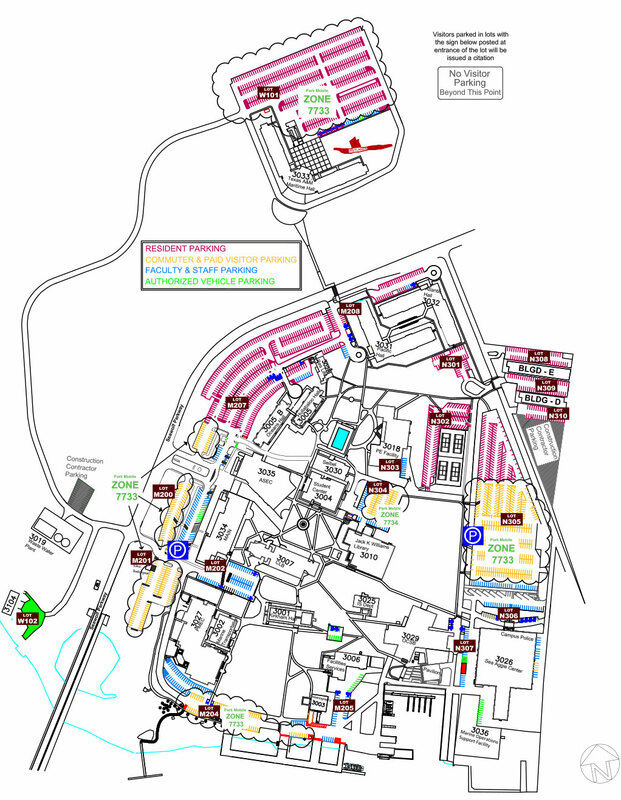 Paid visitor parking is allowed in the designated ZONE locations shown on the map. This Map is subject to change.